Help us celebrate the official grand opening of the newly renovated ‘Friends of Tie Domi Rehabilitation Clinic’ at The Hospital for Sick Children (SickKids) on Tuesday, May 26. The new space, which handles more than 35,000 patient visits each year, offers a bright and refreshing change to a clinic that has not been updated since it originally opened in the 1950s. Join us for a tour of the space filled with Domi and Toronto Maple Leafs memorabilia. Leafs mascot Carlton the Bear will be on-site to join in the fun. 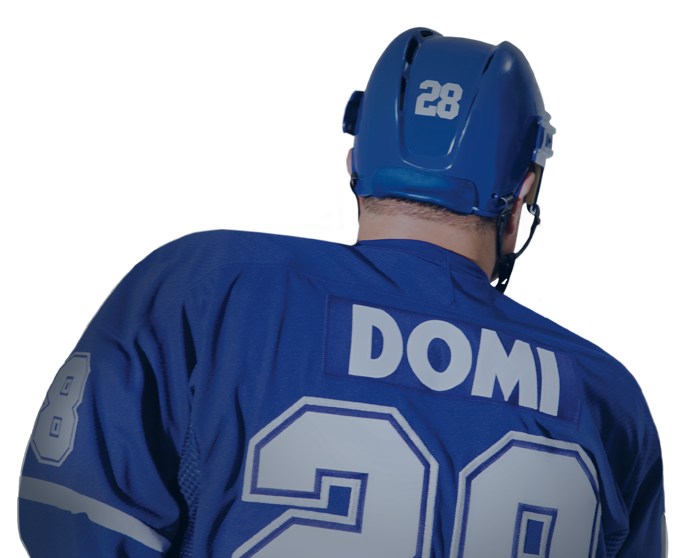 Aligned with Domi’s love for ‘play’ and his connection to the hospital, attendees will be spectators to a game of floor hockey played by Domi and SickKids patients who use the Rehabilitation Clinic as part of their treatment at the hospital. Tuesday, May 26, 2009, 10 a.m. to 11 a.m.